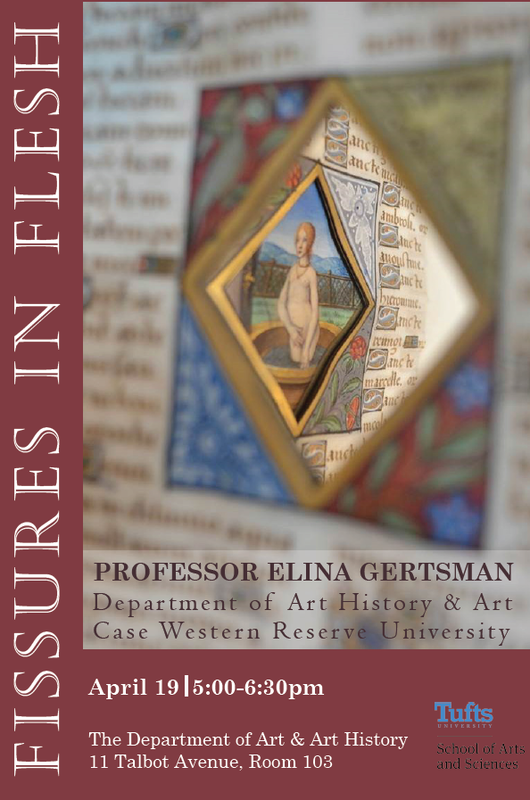 Prof. Elina Gertsman will be delivering a lecture at Tufts University on April 19! Prof. Elina Gertsman will be delivering a lecture at Tufts University on April 19. Entitled “Fissures in Flesh,” it draws on her most recent book project on medieval emptiness.